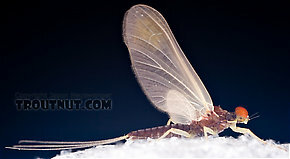 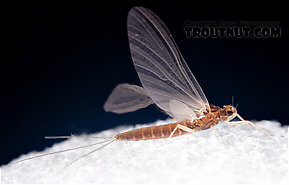 Ephemerella needhami (Little Dark Hendrickson) Mayfly Dun View 7 PicturesSee the comments for an interesting discussion of the identification of this dun. 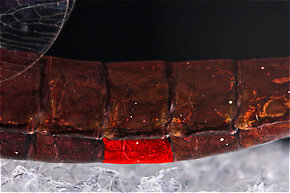 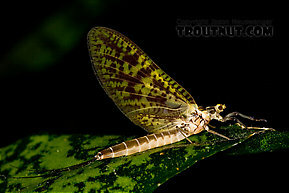 Female Penelomax septentrionalis Mayfly Dun View 10 PicturesI'm confident this dun belongs to septentrionalis, because her legs are just too long for any other Ephemerellid, and her unusual mid-dorsal (Dorsal: Top.) 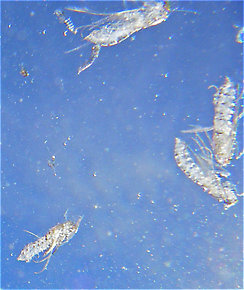 stripe matches those of two easily identified nymphs I collected some miles downstream. 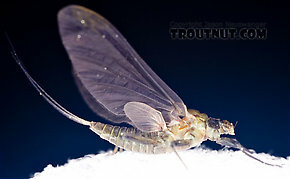 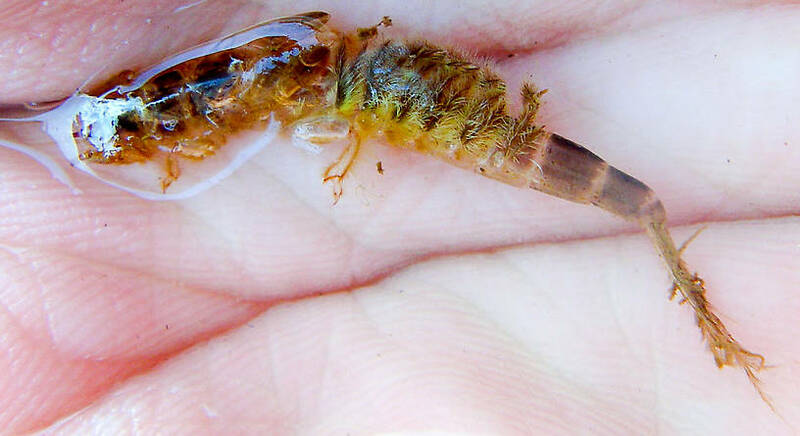 This really pretty mayfly was in kind of bad shape when I found it crippled on the surface, and bouncing around in my container with a bunch of green drakes didn't help.